Choosing whether to go for an online or offline casino can be an easy decision for those people who have no offline casinos near to where they live. However, if you do have one nearby, then you may wonder whether there is any advantage in playing online. One great thing about doing anything online is that you are at home. It means that you do not need to go out or dress up. That can be some of the fun for some people, but others would rather not have to bother. Another advantage of playing online is the choice. There are many different websites to choose form and it means that you can find one that exactly fits your needs. This means that it has the games that you want to play and you can play them at any time. The costs may vary between different casinos. With so much choice online, then there is competition and therefore you can get good value for money if you look hard. There are many deals for people playing at online casinos for the first time, where you may have the money you deposited matched, have bonuses or get free plays. There is also competition for big jackpots and so this could tempt you to choose one site over another. Money can be an issue when playing in casinos. 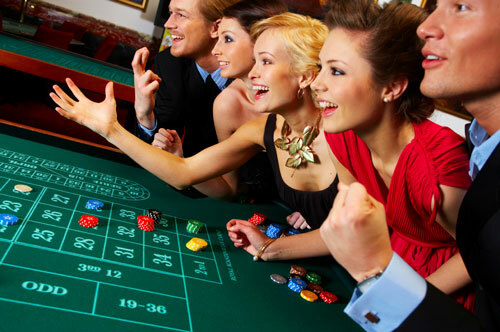 When you are playing in a virtual casino, it might be easier to spend more money that you realise. When you are actually handling the chips, coins or notes yourself, you might get more of an idea of how much you are spending. You may also take a certain amount of money with you, leave the credit card at home and then make sure that you do not spend too much. When playing online, it can be easier to keep topping up your account using your credit card and maybe not keeping an eye on how much you are spending. Some people are good at keeping track anyway and some websites are more helpful in helping you to control what you are spending. The choice between online and offline can be easy when you have no casinos near to where you live but if you do, then you may choose the live atmosphere of a real casino where you can meet others and have an evening out. However, you may prefer to play in comfort in your own home, in private and maybe socialise with others using that website. You can always choose to do both, if you do have that option.